You forward the completed application the Hollywood Chamber of Commerce. This link will show you the mailing address. Koerner notes that this is "usually done by your publicity team, though fans are welcome to submit nominations, too - provided they have the written consent of their idols' representatives, that is." In addition, to be eligible you must be "accomplished" in the field of film, television, radio, theater, or recording. Others are out of luck. No housewives. No novelists. No lawyers, at least so far. Nomally, every June, a five-person committee chaired by Johnny Grant, the honorary mayor of Hollywood, meets to consider the approximately two hundred applications that are received each year. Of these the committee selects twenty or so honorees, including one "posthumous recipient" per year. If you get this far you or your sponsors then pay as much as $15,000 for the unveiling ceremony. Now you may be great at what you do, and you may be world famous, but this fee will not be waived. No exceptions. Of course your studio or your record label or your agent usually covers this fee. In some cases in the past fan clubs have raised the money. Well, you need fifteen grand from somewhere. The ceremonies are often timed to coincide with a publicity campaign. It was no accident that Spears' star was added the day before the release of her new album, In the Zone. And in January, Nicole Kidman's star was unveiled a few days before the nationwide release of The Hours, as part of Miramax's successful campaign to snag her a Best Actress Oscar. 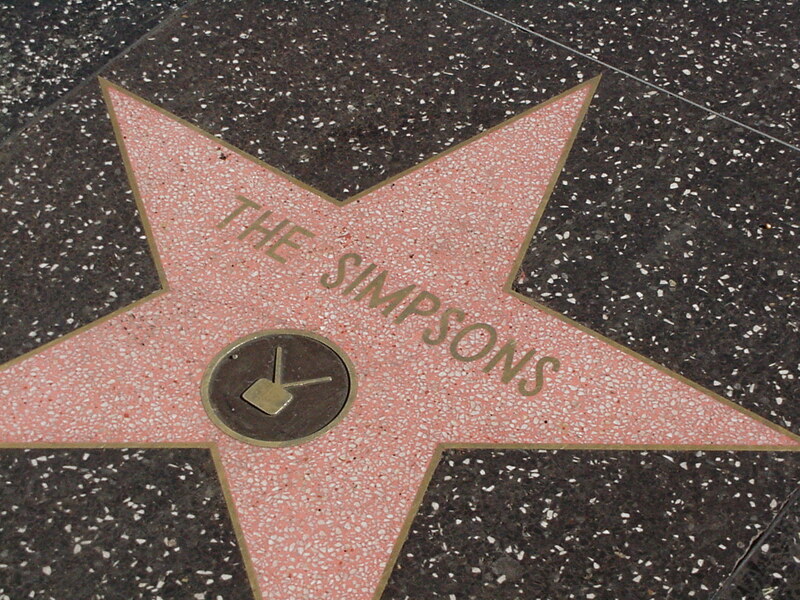 Publicists lobby to have their clients' stars placed near the most desirable tourist attractions along the walk, as well as close to those of the most recognizable names. There's more cachet in being a few stars down from, say, Clark Gable than winding up adjacent to ex-Entertainment Tonight host Leeza Gibbons. Is this fair? Is this right? Koerner points out that Francis Ford Coppola and Gone With the Wind producer David O. Selznick do not have Walk of Fame stars, while "less celebrated" entertainers like Fritz Kreisler and Ferlin Husky do. Fritz Kreisler? I haven't found his yet. In a parallel way you might want to check of Canada's Walk of Fame in Toronto. William Shatner. Need I say more? Or if you're out here, the Rock Guitar Walk of Fame on Sunset a few block east of here might be worth a visit. I've heard that San Pedro, California, the sleepy little port town across the harbor from Long Beach where I used to live, has its own "walk of fame." I don't know anyone famous who came from San Pedro. I'll have to check that out. I do recall that Benny Goodman, stopping in San Pedro on his way to play the Avalon Ballroom out on Catalina back in the thirties, discovered Lionel Hampton at a club down by the water. Perhaps I'll drive down there and check out this odd "walk of fame." In the sidewalk, on the north side of Hollywood Boulevard, one block west of the famous Chinese Theater in Hollywood, California. A representative star on the Hollywood Walk of Fame.